Here are six traits that have helped them to achieve their dreams. Australians living the dream are family oriented, spending more quality time with their family during the week than the average Australian. And they’re five times more likely to meditate or engage in spiritual activity. 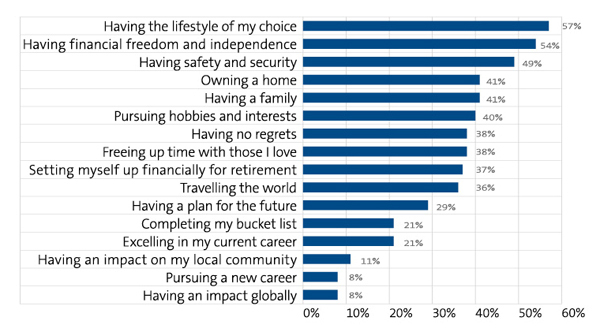 Australians living their dream life dream more about the future than others. Four in five (82%) often or always dream about their future, compared to just 61% of those who say they are not living the dream. These people are planners. They’re almost five times more likely than the average Australian to plan and stick to the plans they’ve made (23% compared to 5%). They are more likely to act quickly on their plans (71% compared to 41%), turning their vision for the future into reality. High self-belief correlates strongly with those who are living the dream. Almost all Australians (96%) who are living the dream believe in their ability to create the life they want, compared to just 54% of those not living the dream. They make their financial decisions in consultation with others and are nearly three times more likely to seek advice from a financial adviser when making financial decisions (24% compared to 9% of those not living the dream). Nearly half (45%) are currently receiving or have received advice from a financial adviser, compared to just 22% of those not living the dream. They are less likely to have regrets in life than those who are not living their dream life. A quarter (26%) say they have no regrets at all. Those who do have regrets mostly regret not saving enough (24%) or making poor decisions (19%). Australians who are living the dream have the lowest levels of financial stress. More than one in three (34%) are not at all stressed about their finances (compared to 11% of those not living the dream). Australians believe living the dream means having the lifestyle of their choice. Most of the measures we attribute to ‘living the dream’ are linked to success in the area of personal finance. Australians in 2017 define the ‘Great Australian Dream’ as the ability to have the lifestyle of their choice and move forward each day towards greater financial independence. 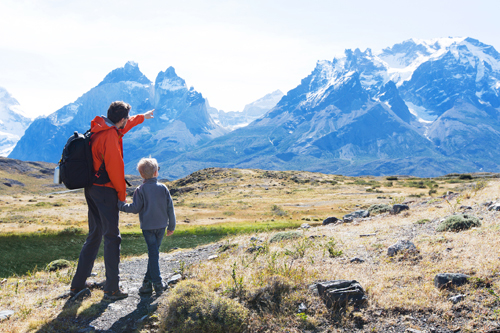 They place strong emphasis on their ability to create safety and security for their family, own a home, pursue hobbies, and free up time with those they love – all without fear of regret. What does ‘living the dream’ mean to you? ‘Live the dream – research into Australians living a successful life’ an independent publication based on a McCrindle Research national survey commissioned by the Financial Planning Association of Australia of 2,635 Australians aged between 23 and 71 gathered from 2-13 June 2017.